Portugal’s Jewish community observing an increase in requests for naturalization by British Jews following Brexit vote. One of Portugal’s Jewish communities said it was observing an increase in requests for naturalization by British Jews following the United Kingdom’s vote to leave the European Union. About 300 British Jews who are descendants of Portuguese Sephardic Jews requested Portuguese nationality from the Porto Jewish Community, compared to five before the June 23 vote for a British exit, or Brexit, the community told the EFE news agency Monday. The city’s Jewish community, which has a few dozen members, is the smaller of two congregations certified by the government to vet requests for citizenship under a law passed in 2013 that offers nationality to descendants of Sephardic Jews. Officials say the law corrects the historical wrong visited on Portugal’s Jews in the 16th century when they were expelled or forcibly converted to Christianity. But the country’s larger and more established Jewish community of Lisbon, which has several hundred members, has not observed any increase in requests for citizenship by British nationals, according to Teresa Santos, the community official handling those requests. She said the community has received 1,090 requests, including very few from British nationals. Only a handful of applications have been approved since the law was ratified last year. 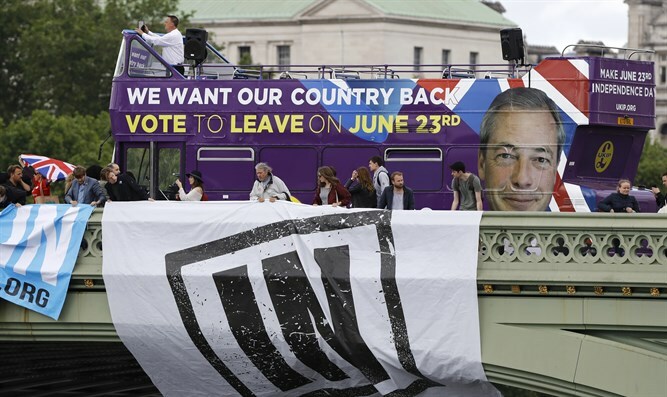 The report in EFE followed several others based on anecdotal information about British Jews who are seeking a second EU passport in order to remain EU citizens if the kingdom leaves the bloc, where EU citizens may work and settle without applying for a visa.